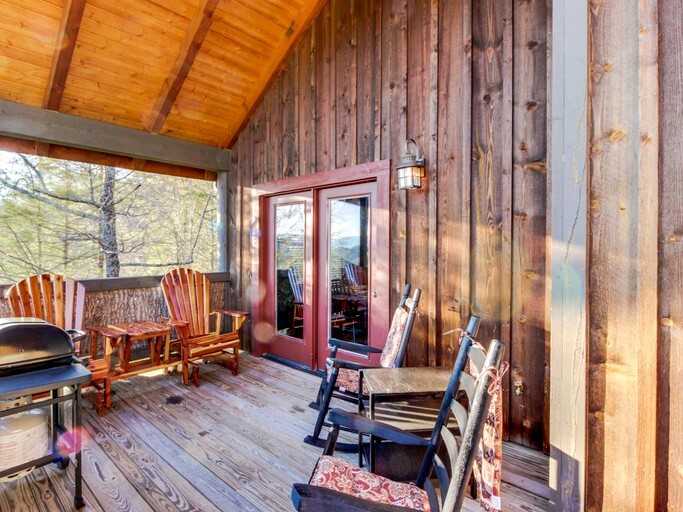 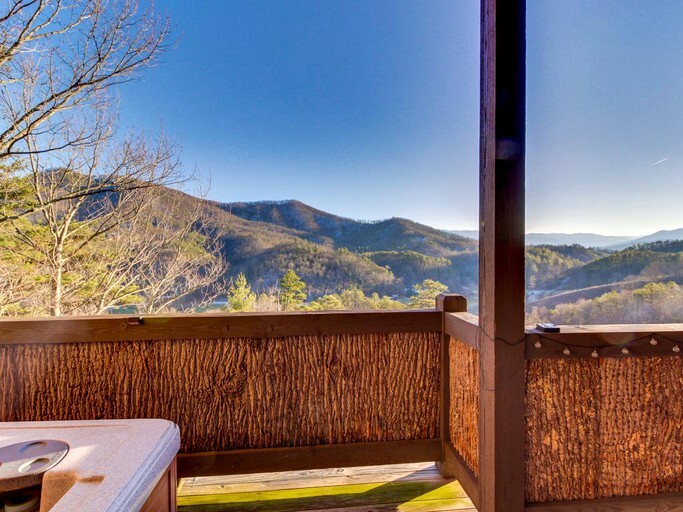 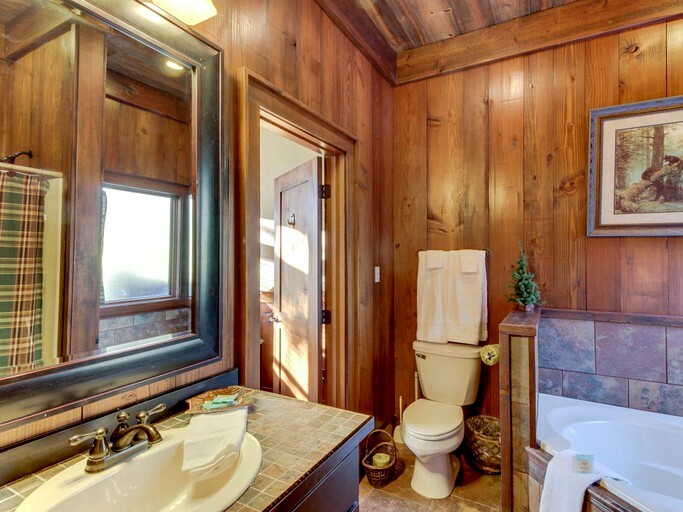 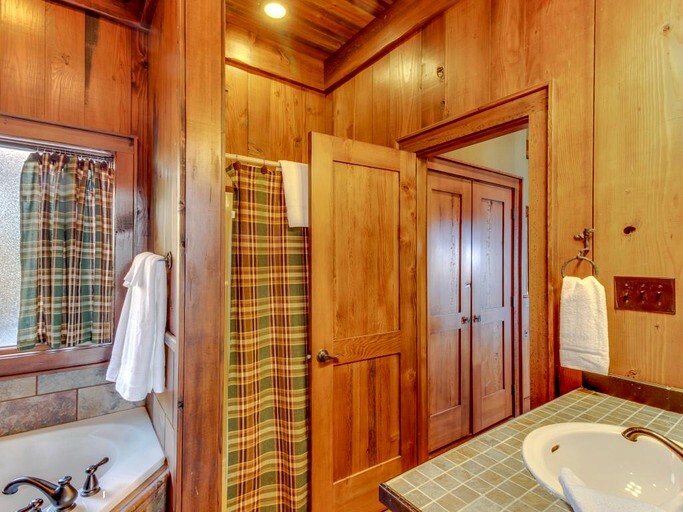 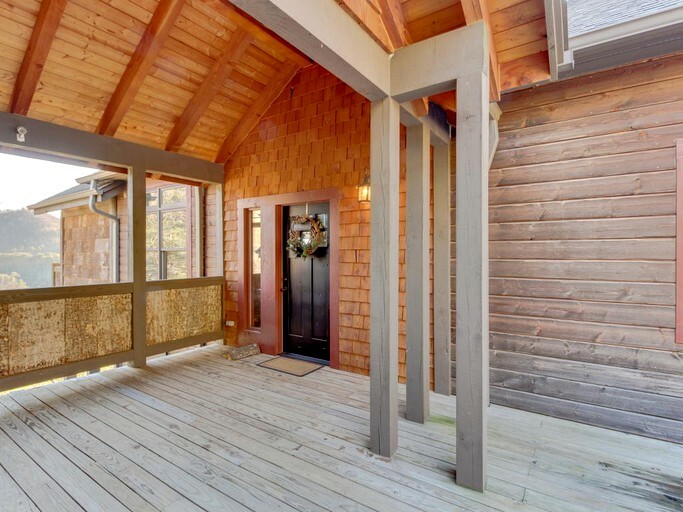 This charming one-bedroom cabin features a private hot tub, a covered deck, and stunning views of the mountains in Sevierville, Tennessee. 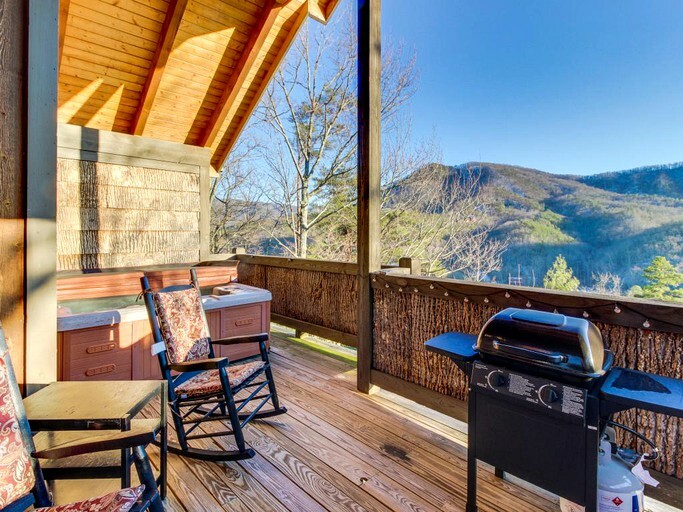 A perfect vacation rental for an outdoorsy couple, this new home-away-from-home is modern and welcoming. 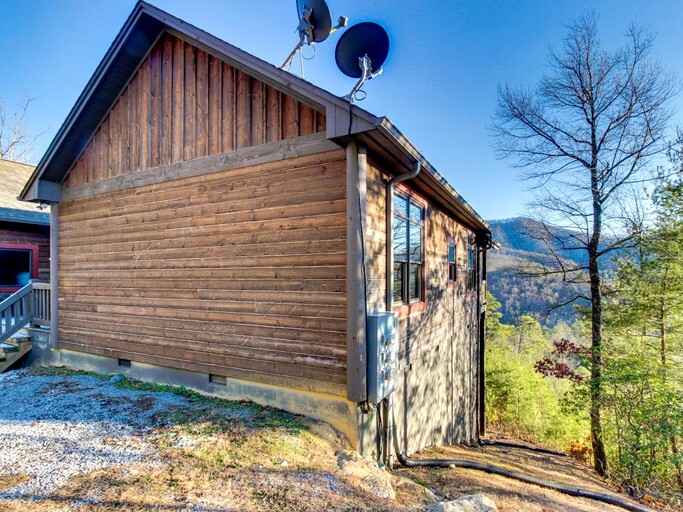 At night, this one-bedroom, one-bathroom cabin can sleep comfortably up to four guests. 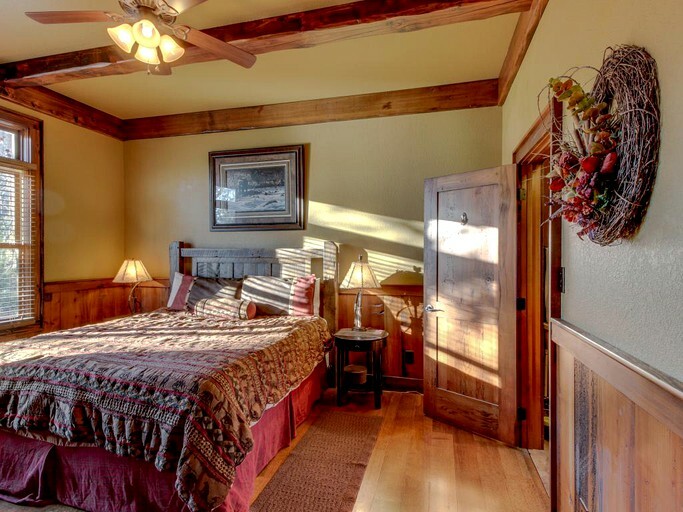 Guests can freshen up with a shower or bath before settling in for a great night's sleep on the king-size bed. 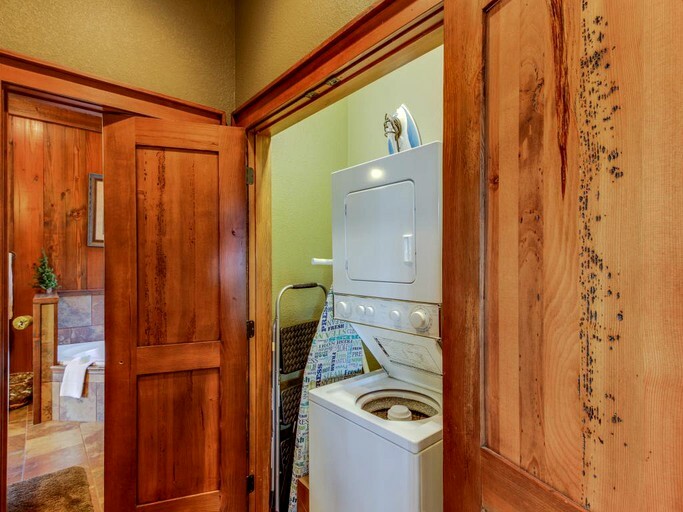 A private washer and dryer are also available. 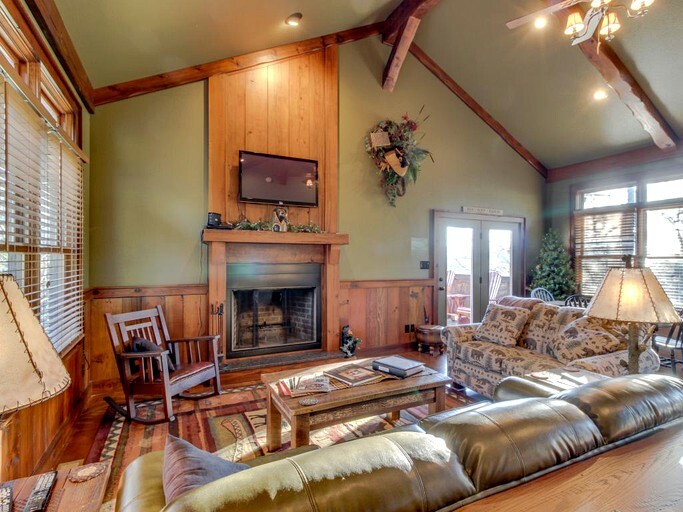 The comfortable couches surround the wood-burning fireplace and the flatscreen cable TV, perfect for cuddling up on cold nights. 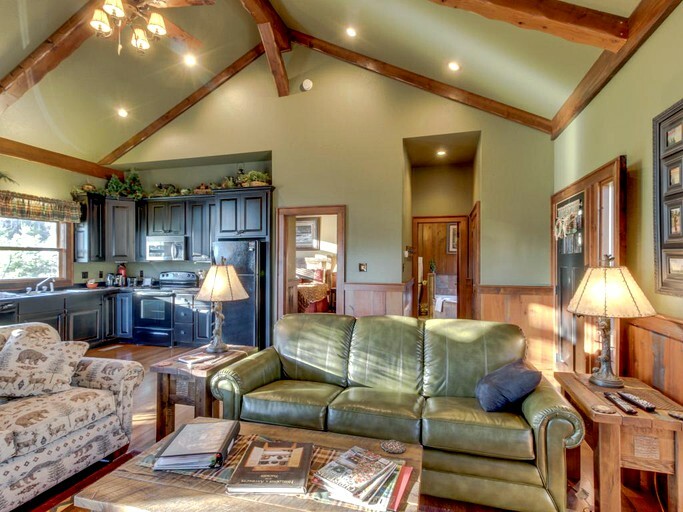 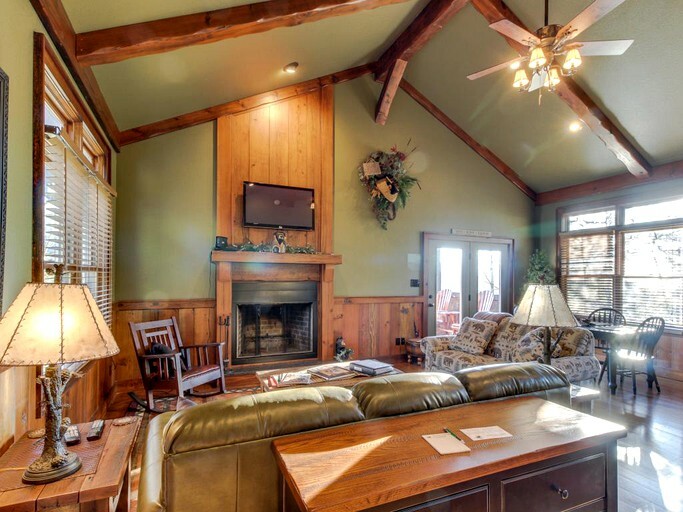 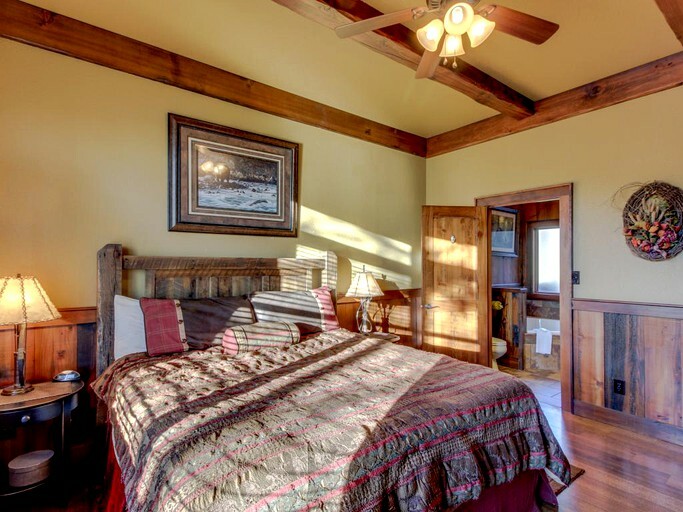 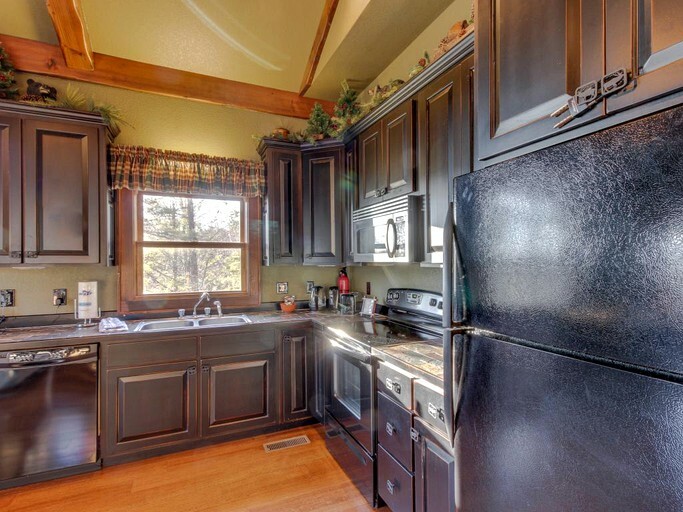 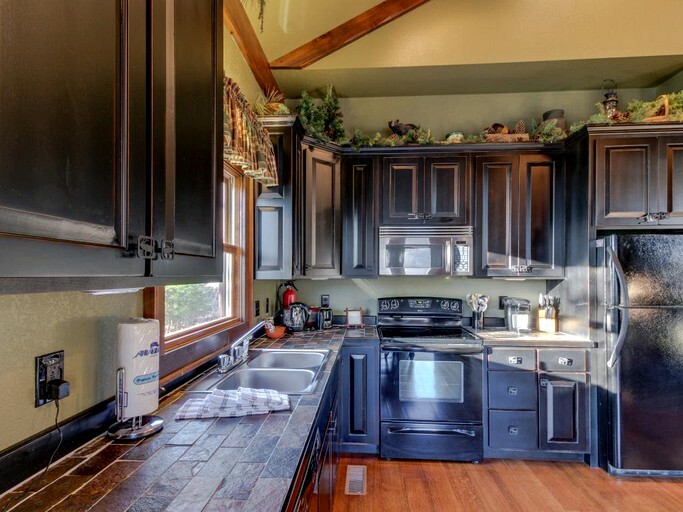 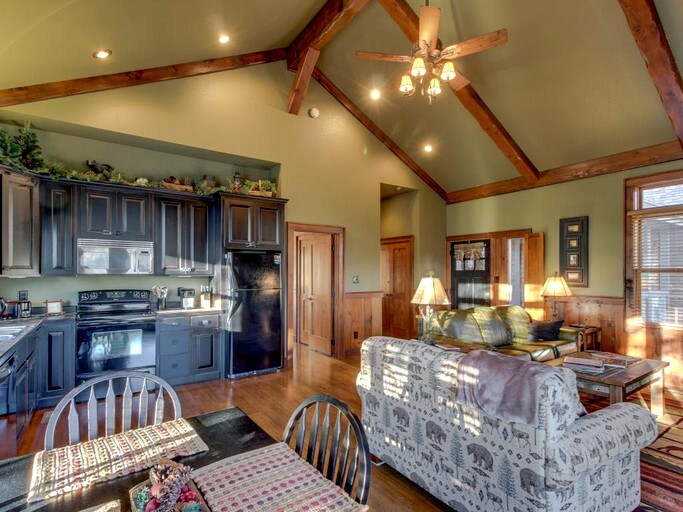 This property features everything and more that guests would need during their stay in Tennessee. 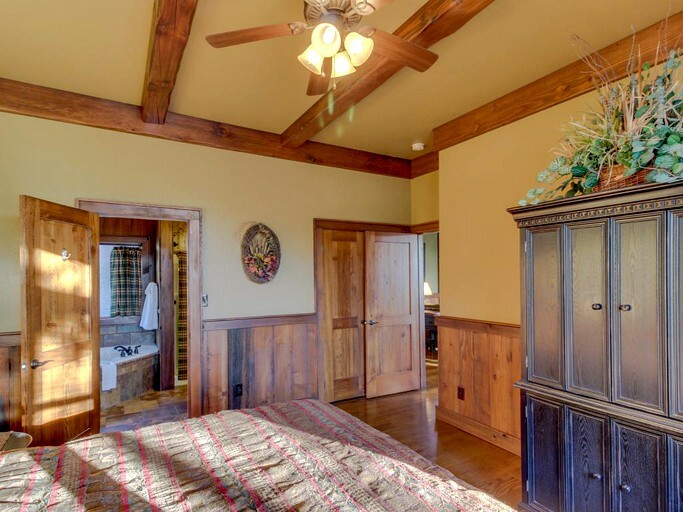 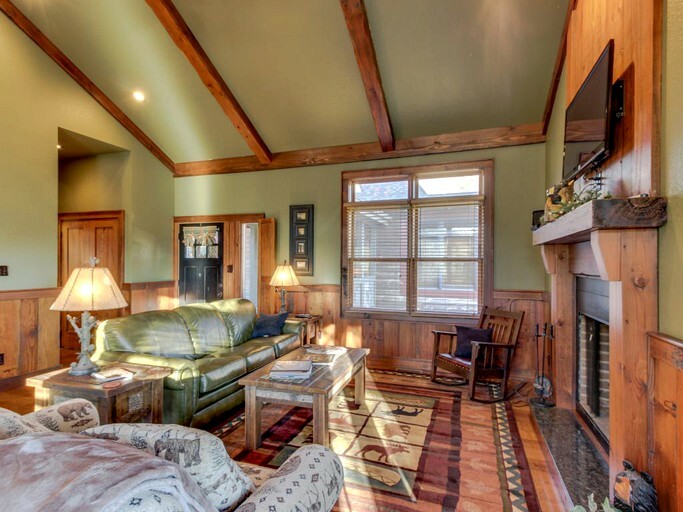 With amenities such as air conditioning, a wood-burning fireplace. 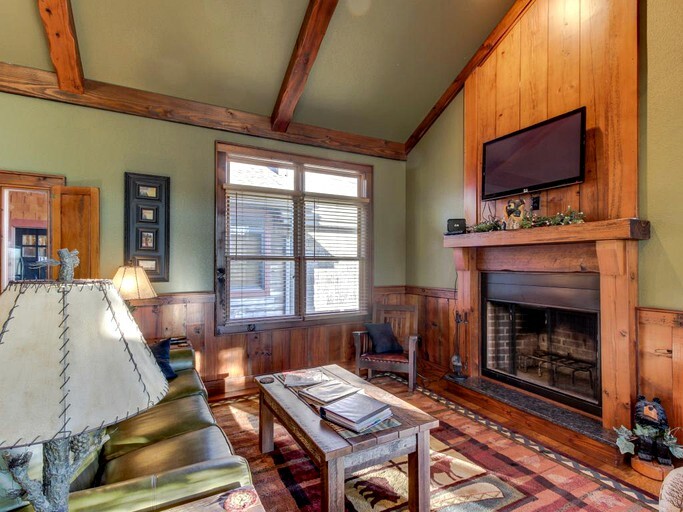 cable television, and an internet connection, guests will feel comfortable and connected throughout their stay. 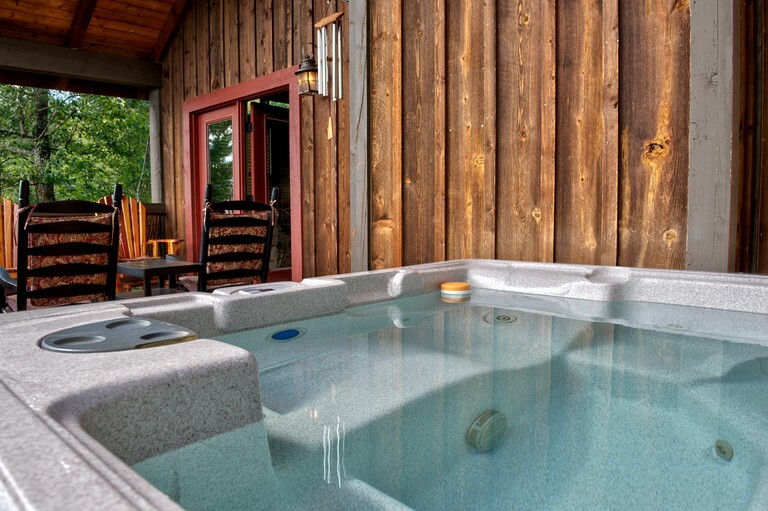 The use of a washing machine and clothes dryer is available for guests. 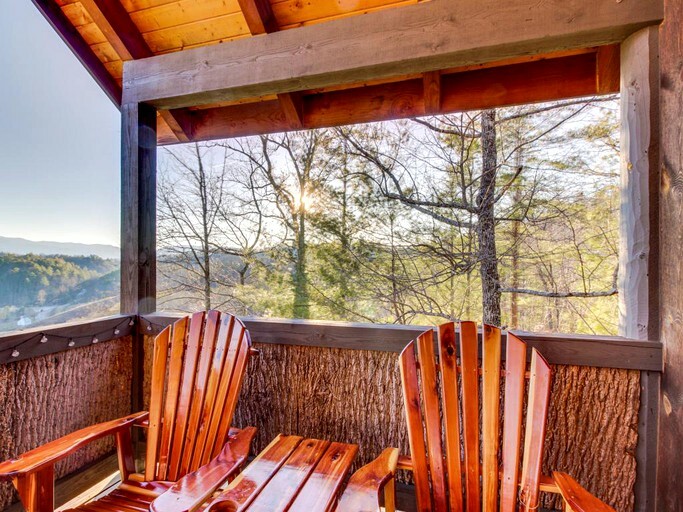 Outside, those who stay can enjoy the outdoors from the spacious deck which features patio furniture, a barbecue grill, and a bubbling hot tub. 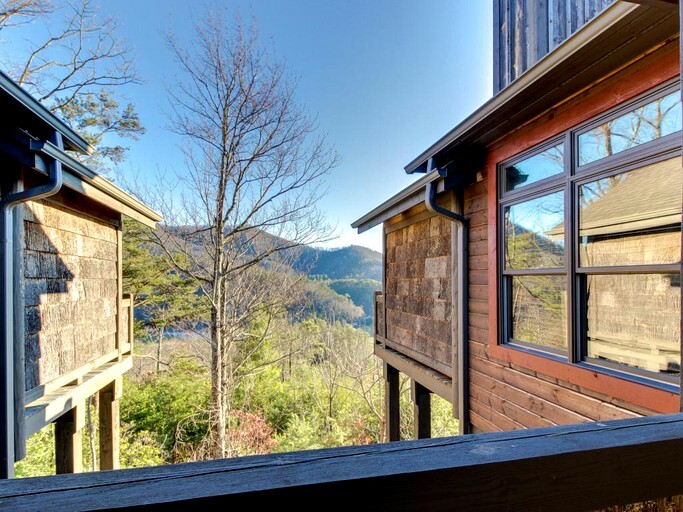 A reason why this glamping site is so special is the handful of fun activities for glampers to enjoy in the surrounding area. 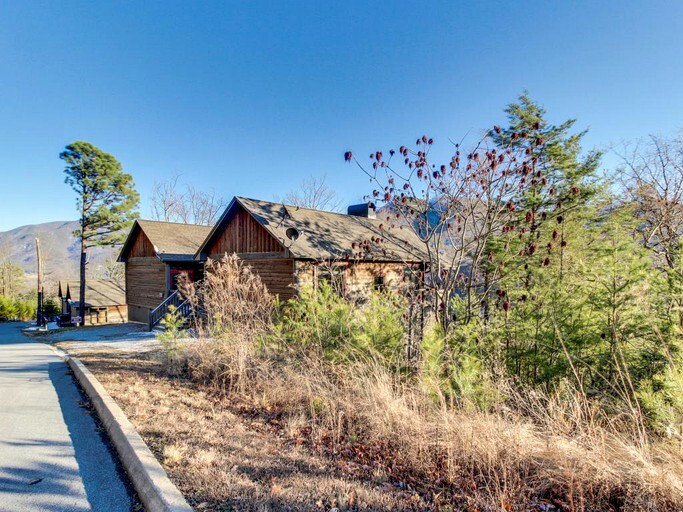 They can take their pick from a warbird aircraft museum, NASCAR-themed go-kart tracks, underground cave tours, petting zoos, and fun mini-golf courses. 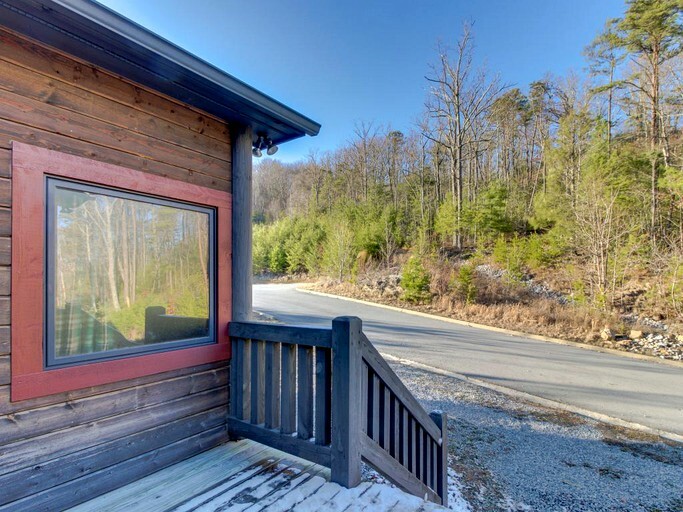 Whether glampers are with family or a significant other, Pigeon Forge which boasts a wide array of attractions to take advantage of. 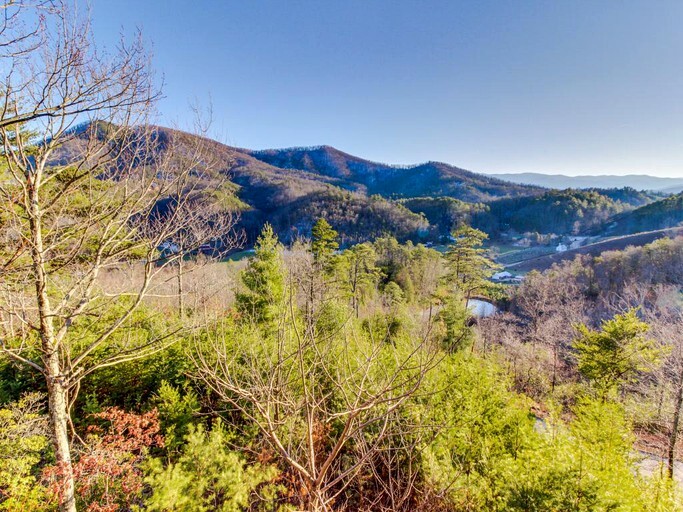 Get the adrenaline going at the thrilling rides at Dollywood and later on visit the interactive exhibits at WonderWorks. 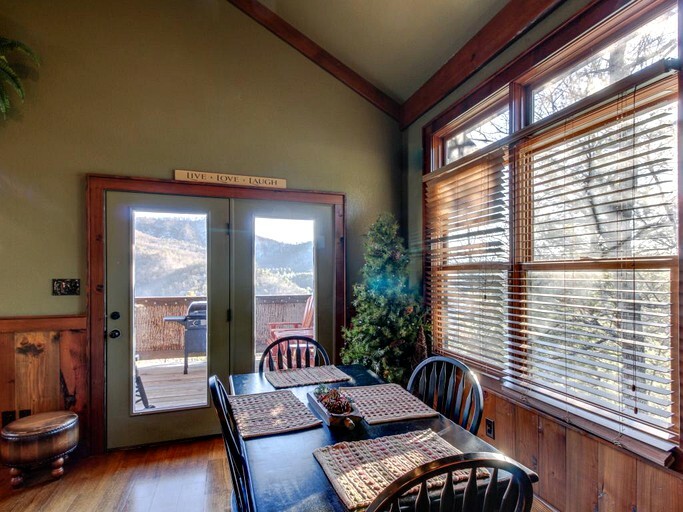 After a long day of unforgettable fun, head over to Huck Finn's for a tasty meal.